Today on Twitter, CSPAN surfaced a video from 1992 in which Joe Biden argues on the Senate floor that President George H.W. Bush not offer a Supreme Court nominee in the event that a justice retired before that year’s presidential election. This, of course, is quite an inconvenient bit of video now that Biden, as vice president, will be enlisted to support Barack Obama’s impending nomination to replace the recently deceased Antonin Scalia. 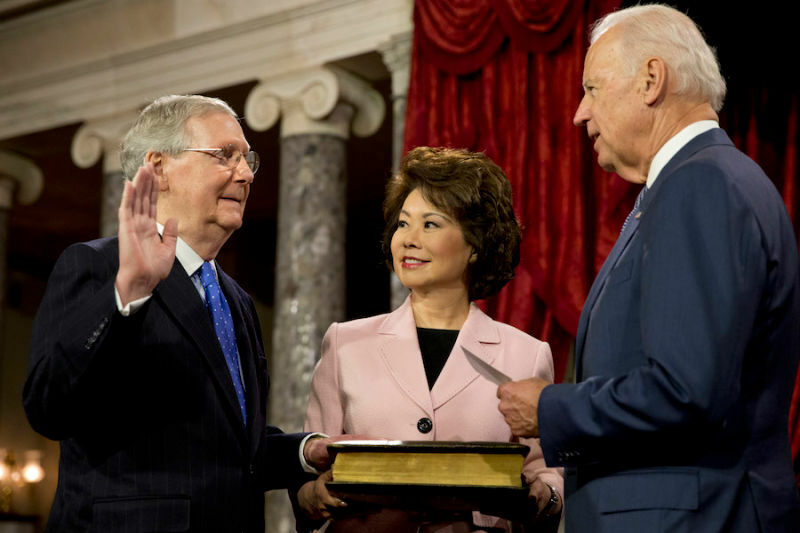 Biden can at least commiserate with Mitch McConnell, who as Senate majority leader will be tasked with spearheading the GOP’s impending blockade of Obama’s eventual appointee. As John Oliver pointed out a few weeks ago, McConnell, in the final year of the other Bush presidency, chastised his Democratic colleagues for citing an unwritten rule in hopes of running out the clock on some of W’s lower court nominations (McConnell’s specific statement comes 3:18 into the below video). The situations aren’t 1:1 facsimiles: Biden was speaking in June of 1992, whereas McConnell will now be arguing against a nominee put forth by Obama in February or March of this year. Nonetheless, the same dynamic is at play: Biden and McConnell, career politicians, are (or, in the case of Biden, will be) reversing old arguments now that they find themselves forced to hold the opposite position they once did. There are plenty of things you could take away from all of this, but the most important one is that the best part about being a politician—or a senator, at least—is nothing you say really ever matters.